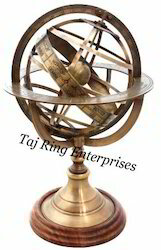 Offering you a complete choice of products which include antique brass armillary, antique wood base armillary, nautical armillary 8 globe, table top brass armillary, brass statue armillary globe and antique armillary globe. 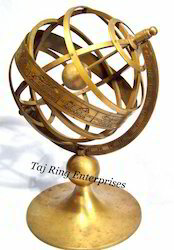 The difference between the two world systems was that one used Nautical Antique Finish wood Base Armillary.Earth as the center of the Universe, while the other used the Sun.Its Comes with middle a small brass globe.The classic beauty of this Armillary Sphere is ideal to add a touch of class to any room decor.Its Beautiful used for Table Top home decoration , Office , Etc. 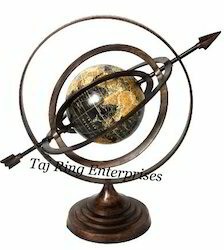 Nautical Antique Finish wood Base Armillary.Its Comes with middle a small brass globe.Its Beautiful used for Table Top home decoration , Office , Etc.The classic beauty of this Armillary Sphere isideal to add a touch of class to any room decor.The difference between the two world systems was that one used Nautical Antique Finish wood Base Armillary.Earth as the center of the Universe, while the other used the Sun.Its Comes with middle a small brass globe.The classic beauty of this Armillary Sphere is ideal to add a touch of class to any room decor.Its Beautiful used for Table Top home decoration , Office , Etc. Beautiful Statue Armillary is ideal to add a touch of class to any room decor. 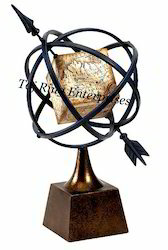 Nautical Globe Armillary is Awesome Style Armillary is ideal to add a touch of class to any room decor. 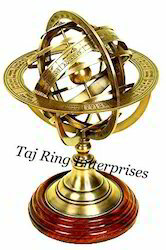 Nautical Brass Armillary is Awesome Style Armillary is ideal to add a touch of class to any room decor.